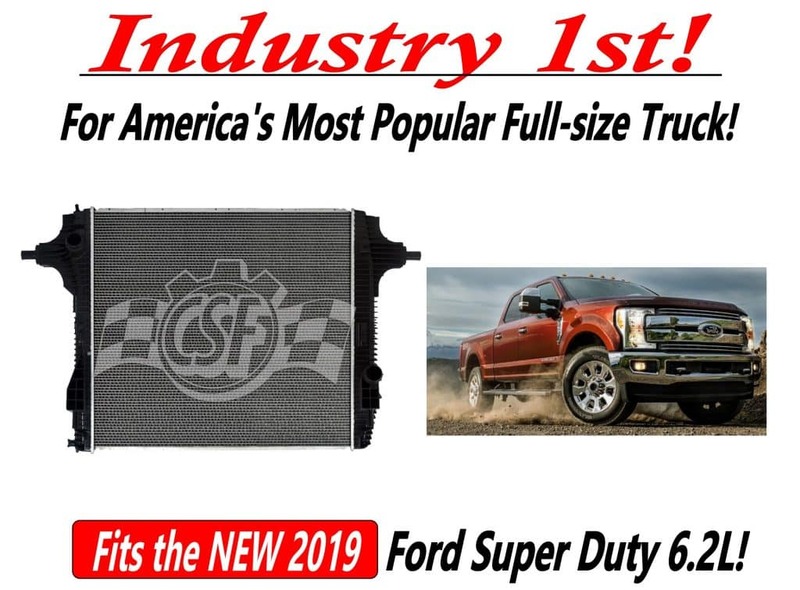 Introducing the Industry 1st 2019 Ford Super Duty 6.2L Radiator! CSF now has even more coverage for America’s Most Popular Heavy Duty Truck with CSF 3848! This new model is built to OEM specs for maximum quality and reliability. CSF 3848 fits both the F-250 & F-350. The Cooling Experts at CSF Radiators offer a wide array of cooling solutions for most popular makes and models. From radiators and condensers to intercoolers and hybrid inverter coolers for electric vehicles we have you covered through all the stresses and pressures of the road.